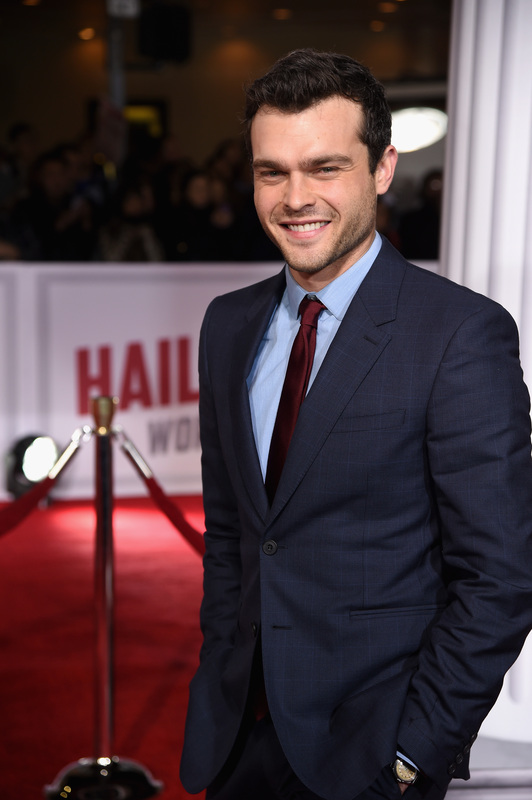 At the Star Wars Celebration in London, the directors of the Han Solo standalone film finally confirmed that Alden Ehrenreich will play Han Solo. He's the character that directors Phil Lord & Chris Miller referred to as the man with "the biggest heart in the galaxy" and he's got some serious shoes to fill, but the more I looked at this guy up on the convention stage, the more I could see him as young Han. Of course, it actually look MIller & Lord quite a bit of time to get comfortable with Ehrenreich, or anyone, as the young Mr. Solo. According to Miller at the panel, they saw over 3,000 people for the part of Han and they selected Ehrenreich... who was the first person they auditioned. ("I'll take it out of your salary," joked Lucasfilm President Kathleen Kennedy.) And if you're still worried, don't fret. They've taken serious measures to make sure the young actor works in the role. "The coolest part of the audition process is that I went on the Falcon," Ehrenreich told the crowd. Of course, the reason being that they had to figure out if he had chemistry with the iconic ship. (I guess it worked.) To boot, Episode VII's John Boyega, who showed up as a surprise guest, looked at Ehrenreich and with so much surprise in his voice, said: "You're smiling like Han Solo." I think that's a pretty good sign. Ehrenreich is, of course, a newcomer known for his recent role in Hail Caesar! and, as his mom made sure to prove before the panel, a longtime fan of Han (she sent him images of his collection of old Han Solo toys). While production isn't quite starting on the film (Lord & Miller only just moved to London to finish up the script), I think even the naysayers might want to get on board about now.